Japan is well known for the safety of its streets and low crime rate – helped, no doubt, by the visibility of the country’s police force. With so little serious crime to contend with, you may wonder what it is that the police do with their time. One large part of the police’s role, especially in large cities like Tokyo, is the enforcement of traffic laws, and with so many people using bicycles in their daily lives, making sure cyclists follow the rules of the road is an important job. With kōban (交番, police kiosks) on every main road, and occasional checkpoints set up in other streets to check for stolen bicycles, it’s difficult to avoid the eye of the law while cycling in Japan. As such, it’s important to know what you legally can and can’t do on a bike. 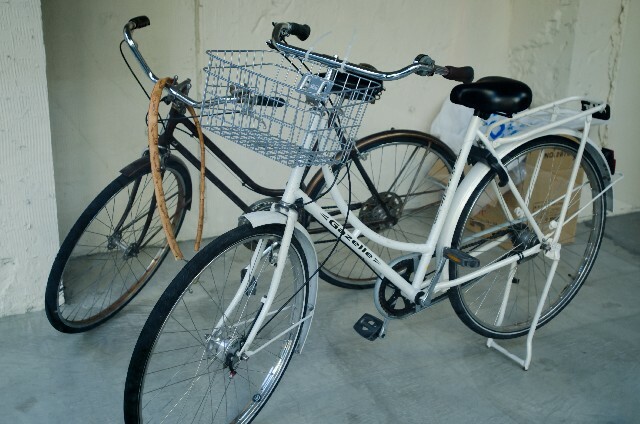 To prevent you from running into difficulties, we have compiled a list of the 8 things you are not allowed to do while riding a bike in Japan. While you may get off with a warning for a one-time offense, if you are involved in an accident the potential fines could do serious harm to your wallet. While it’s no problem for anyone over the age of 16 to ride a bicycle fitted with a child seat, it’s against the law for two people to balance on a bike designed for one rider. It’s not uncommon, especially in suburban and rural areas, to see teen couples in matching grey sweat suits sharing a bicycle, with the passenger sitting side-saddle on the bag rack, or hugging the rider in motorcycle fashion. While it may be a romantic image, it is against the law. One thing that’s ubiquitous in Japan is the sight of people staring at their phones with little regard for what’s going on around them. While some are content to endanger only their own lives by texting or gaming on pedestrian crossings, others prefer to become a more general liability by using their phones while riding their bikes. Riding a bike one-handed while talking on the phone is dangerous enough, but the more ambitious who text their friends while cycling have a bad habit of not looking where they’re going, and losing control of the bike when they have to stop. When the rain falls in Japan, it tends to fall hard. The rainy season can last one or two months, and typhoons are not uncommon in autumn. How to stay dry, then, while riding your bike through town? Well, not with an umbrella, if you want to avoid trouble with the law. 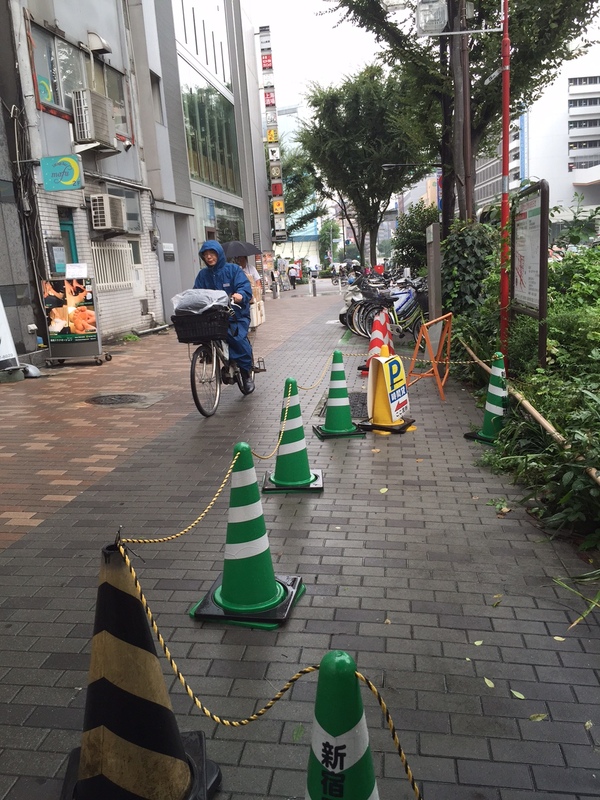 Aside from the fact that riding with an umbrella at any speed in Japanese rain is unlikely to keep you particularly dry, the combination of holding the umbrella with one hand and trying to maintain balance while a combination of wind and air resistance pull it left and right, is a recipe for disaster. They may not be the most fashionable of things, but a set of waterproofs is the safest road if you have to ride in the rain. Riding the same route to school or work every day can get tedious, especially with the number of automated traffic signals in Japanese cities. Cyclists who try to alleviate the boredom by listening to music through headphones, however, will find themselves in violation of the highway code. As it’s important at all times to be aware of your surroundings, anything that may prevent you from hearing an approaching car, or a pedestrian about to cross your path, is potentially dangerous. 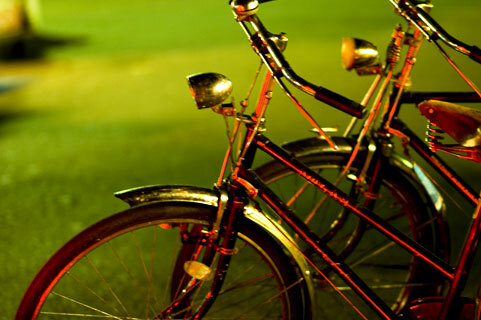 Cycling at night without a forward-facing light attached to your bike is forbidden in Japan, and one of the things police pay particular attention to when conducting evening spot-checks. Never mind that the big city streets are bathed in an orange glow, and that “mamachari” lamps aren’t the brightest of light sources – the rules must be followed. In backstreets and in the countryside, of course, visibility at night time is a serious concern, and it is just as important that you are seen by other road users as it is that you can see clearly yourself. A common sight near schools at home time, riding bikes side by side is nevertheless against the law in most areas. Cyclists traveling in parallel take up a fair amount of space, preventing oncoming pedestrians or cyclists from passing, and can be a particular problem in urban areas. The only exceptions to this rule are for areas marked by signs specifically allowing side by side riding, and then for up to two bicycles only. 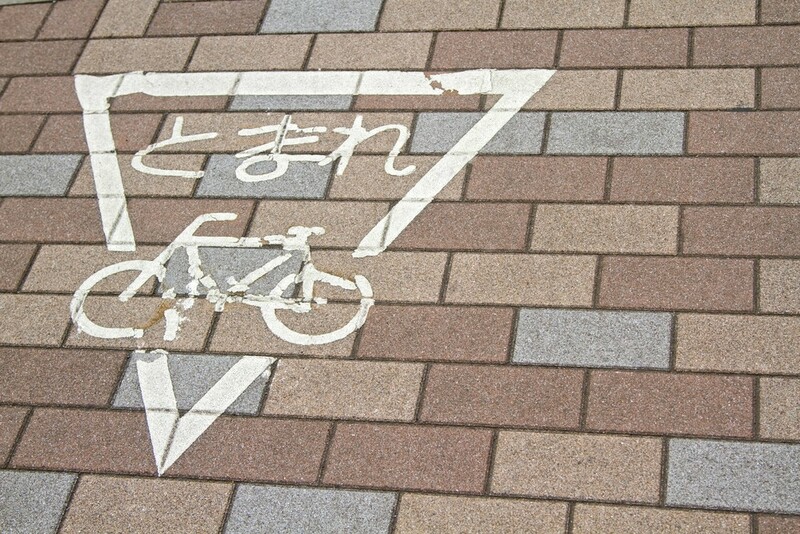 It is legal for cyclists to use the pavement/sidewalk in Japan, but despite the number of cyclists in the country, many areas do not have dedicated cycle lanes. Cyclists often find themselves sharing narrow pavements with pedestrians, and the chances of either getting in the other’s way is high. The law favors the pedestrians where the pavements are concerned, and states that cyclists should stick to the side nearest the road. In the case where a cyclist’s path would obstruct the path of a pedestrian, the cyclist should stop to give way. It is well known that Japan has a zero-tolerance policy when it comes to drinking and driving. What’s less well-known, or at least less obeyed, is the similar rule against riding a bike under the influence of alcohol. Most public transport systems begin to shut down after midnight, leaving taxis the only option for late-night transport. Anyone trying to save themselves a taxi fare after a night out drinking by riding a bicycle home should be aware that this regulation carries a potential prison sentence for infringement. As previously mentioned, breaking many of these rules is more likely to invite a stern warning from police rather than a penalty fine. However, if you become involved in an accident while committing any of the above offences, you are unlikely to get off so lightly.